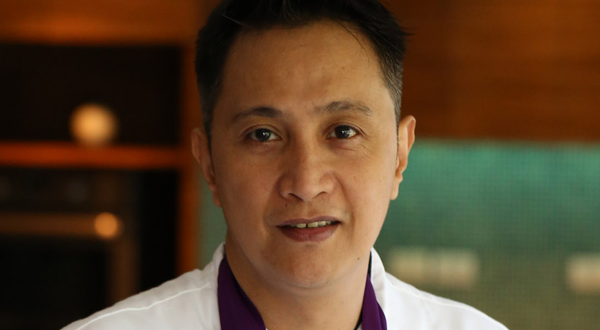 Marriott Manila’s Chocolatier Chef Christopher Balane emerges triumphant at the recently conculded HOFEX 2015. He won the silver medal for his Chocolate Showpiece titled “Dark Disciples” in the largest food and hospitality trade show in Asia-Pacific region, held last May 6-9, 2015 at the Hong Kong Convention and Exhibition Centre. Chef Christopher bested 30 participantsfrom different Asian countries for the top 2 position in the professional category for chocolate showpiece. 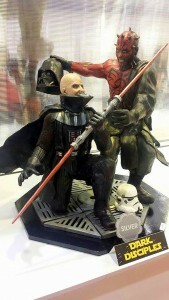 His 2 foot tall hand carved masterpiece was inspired from the iconic movie Star Wars and took 200 hours to complete. Made out of dark, white and milk chocolate and colored cocoa butter, the showpiece was brought to Hong Kong in pieces and took another 4 days to complete before presented to the judges. The Marriott Hotel Manila team, led by executive pastry chef Fil Afable and executive chef Meik Brammer, rallied behind Chef Christopher as he gave honor to the country. “We are truly honored to have such great talent in our team. Not only did you make the hotel and your country proud. You have proven that the Filipinos have a place in the international culinary scene.” said executive chef Meik Brammer. For inquiries, call (02)9889999 or visit manilamarriott.com. To join ongoing conversations, like Facebook.com/Marriotthotelmanila, follow @marriottmanila on Twitter and @manilamarriott on Instagram. Alu is a partner at Courage Asia (business consultancy firm & foodservice event organizers), an adjunct faculty at Enderun Colleges and a food and lifestyle writer. She also a Contributing Editor for www.foodfindsasia.com, Managing Editor for www.dineph.com and a resource person & speaker on marketing, event management and parenting.